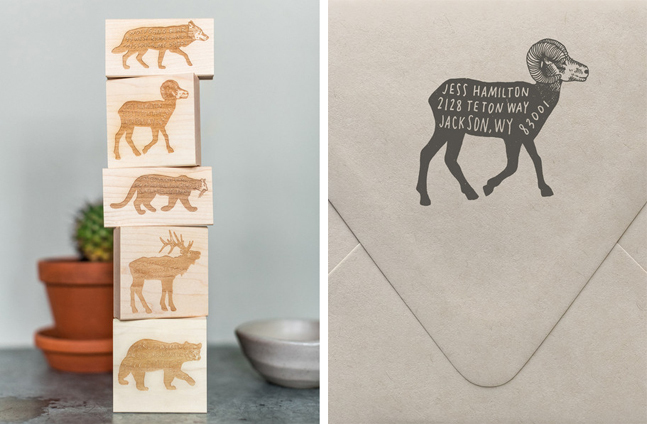 I recently ordered some custom return address stamps from Sycamore Street Press and I am in love. Both with the stamps and with the fact that I no longer have to write out my address! (How did I not do this sooner? What a time saver!) I just got around to (finally) sending thank you notes from my birthday, and I felt so special stamping the back of every envelope with my own personal address stamp. 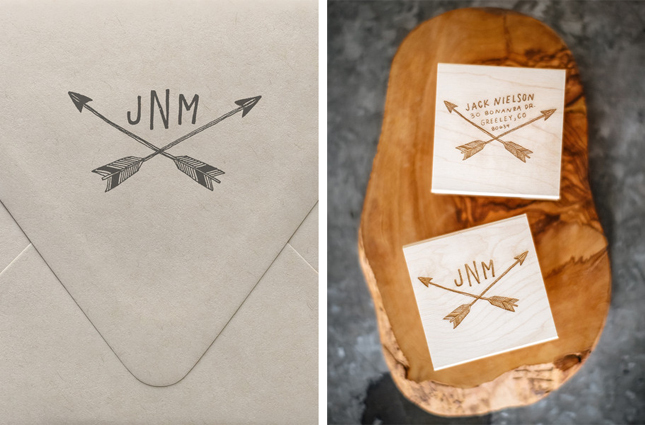 I also love their custom monogram stamps which can be used for all sorts of things — you can stamp it onto any blank notecard, inside a book cover, or onto a gift tag, etc. I’m leaving my new stamps out on my desk and can’t wait to put them to use! These stamps look great, they come out so clean! I love the designs. Love these! Just received a set and even used them on a letter to the tax office, I was so excited to have them..